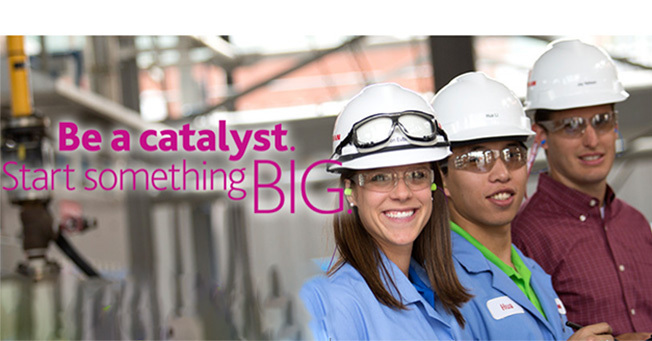 Werken bij Eastman Chemical - Traineeships, stages en starters vacatures! Be a catalyst. Start something BIG. Since our inception in 1920, Eastman has become a leader in the global specialty chemical industry. Today, we serve customers in around 100 countries, operate more than 50 manufacturing sites, and employ approximately 15,000 people worldwide. Our products and technologies make everyday products extraordinary—in turn making life safer, easier, more convenient, and more sustainable. And when you choose to work for a company that touches people’s lives every day, you can help make a difference in countless ways. At Eastman, we thrive when we explore possibilities, collaborate, and help bring innovative products to market that improve lives, our community, and the world. We’re not only proven in the markets we serve; we’re improving them. This spirit of collaboration and innovation is what makes Eastman a great place to build a career. Here, you can find opportunities to grow professionally, competitive salaries, outstanding benefits, and a global work environment. People don’t just start careers here; they establish friendships and accomplish amazing things.